The 'Eco Excellence' series of awards are ideal to recognise an individual or organisations contribution towards eco efficiency. 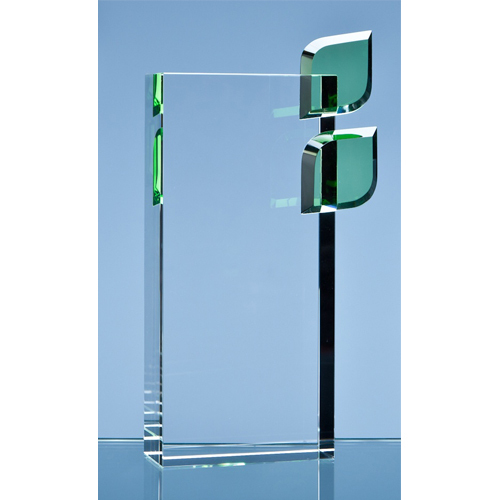 They combine a perfectly clear optical crystal rectangle with an emerald green crystal leaf and are available in 3 sizes making them ideal for 1st, 2nd and 3rd place awards. They can be personalised with any crest, logo or wording to create an award that is sure to take pride of place when put on display at home or at work. They are supplied in a black foam lined presentation box.